Iran should receive 14 new passenger aircraft this year under agreements signed with Airbus, Boeing and ATR planemakers, a government official has said. Tehran has ordered more than 200 planes since US-led sanctions against the country were lifted in 2016 under a nuclear agreement but US President Donald Trump's threat to rip up the deal next month has raised doubts about deliveries. Former Deputy Roads and Urban Development Minister Asghar Fakhrieh-Kashan said on Wednesday Iran should receive eight turboprop ATR 72-600 aircraft from the Franco-Italian company plus three planes from Airbus and another three from Boeing in 2018. 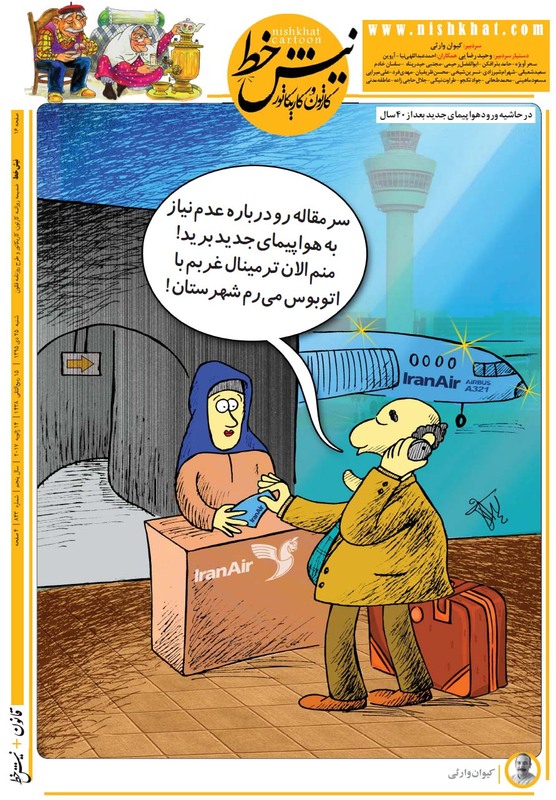 Iran Air has agreed to buy 80 aircraft from Boeing and 100 from Airbus in addition to 20 from ATR. Iran's Aseman Airlines has also signed a deal for 30 Boeing jets of the 737 MAX model. Last year, the national flag carrier received three brand-new Airbus jets and eight new ATR turboprops. Fakhrieh-Kashan said ATR is about to deliver two more planes soon and negotiations are underway with Boeing on certain changes in the contract "so that Iran Air can receive three new jets in the current year". "According to the contract, Boeing will have to deliver three planes to Iran Air in 2018, provided that we finance the purchases," he said. As for Airbus, "if we are able to make our downpayments in 2018, three planes will be delivered to Iran Air this year", he added. Iran Chief Executive Farzaneh Sharafbafi has stated that the company did not have problems financing plane purchases from Boeing and Airbus. Her remarks came after industry sources said Iran Air had been slow to pay deposits, which are needed for Boeing and Airbus to start building new jets. There are already doubts over whether Boeing planes will be delivered as early as 2018, due to the lead time needed to order parts for the planes involved, especially long-range 777s. Those doubts aside, there remains the question of what would happen to the deal if Trump withdrew from the nuclear agreement with Iran and whether the US Treasury will extend licenses for sales of the parts which are built in the United States. "If the American statesmen put restrictions on the delivery of Boeing aircraft to Iran, it would be against the Joint Comprehensive Plan of Action," Fakhrieh-Kashan said using the official name for the nuclear deal. Current licenses expire at the end of 2020 and would need to be extended to complete the planned deliveries. According to Sharafbafi, the existing licenses are valid until 2020 and include 37-38 Airbus jets, 15 from Boeing and all 20 ATRs.